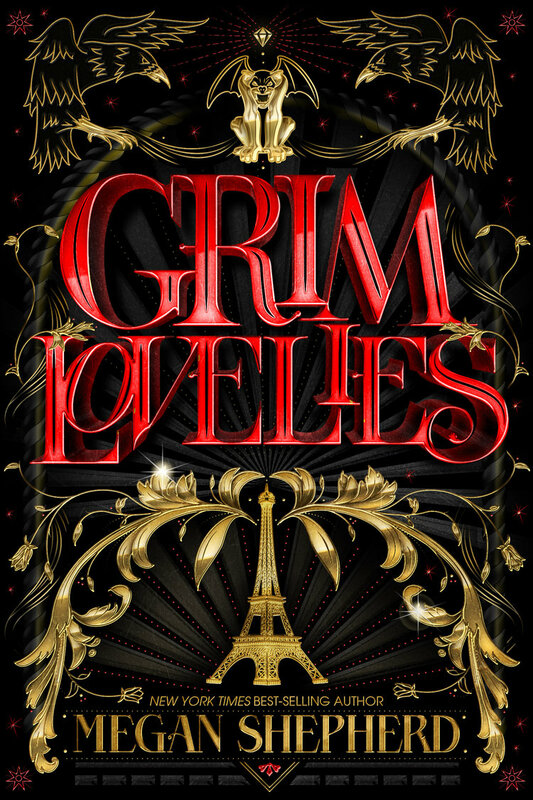 Grim Lovelies is the modern fantasy story of Anouk, an animal enchanted into human form who has been given the sole purpose in life of serving her mistress. She has spent her life in Paris being jealous of human beings called Pretties, who have the freedoms denied to her—from being in romantic relationships to owning nice things. The harsh reality is that she works as a servant and has never had access to the world outside the home that she serves. When she is accused of murdering her mistress, however, she learns to navigate the underground world of the city, where she has never been able to set foot before, to pursue the real murderer. There she discovers a magical society called the Haute that helps her by temporarily turning her fully human with a spell in order to have the freedoms real humans have and properly pursue her investigation. One of the things that I found delightful about this book was Anouk’s perspective of being an outsider in Paris as the result of having not set foot in the world outside the house she served in. A number of phrases served the dual purpose of showing how hungry she felt to be a part of the outside world and her fresh perspective on what Paris was like for her: “Anouk had never seen the things they spoke of—the Eiffel Tower and the patisseries and the bookstore with the sleeping cat—had never been to a bistro, had never been caught in a sudden rainstorm, never taken a shortcut through a graveyard. But innocent? No. They didn’t know the thoughts that sometimes wandered into her head late at night. Thoughts of stealing shoes, of sneaking out, of running away and never coming back.” And her perspective of the city brings vivid descriptions of Paris that really helped me conceptualize what being here may really be like, such as this statement right here: “Even in the early morning, the city was alive. Street sweepers in green overalls with matching caps pushed plastic brooms. Electric lights illuminated back rooms of the bakeries and patisseries, where Anouk glimpsed women with flour on their arms. The next square was overtaken by open-back trucks overflowing with buckets of multicolored blooms and vendors in thick coats haggling over bouquets of peonies and anthuriums, lilacs and Peruvian lilies.” I always really enjoy great descriptions of places that I have never been but want to visit, so I appreciate vivid word choices that bring me to a place in my imagination. On her quest, Anouk finds a sidekick named Beau, and as their relationship develops there is a hint at romance. While it is clear that Beau’s attraction to Anouk is one of his motivating factors for assisting her, the driving force of the plot stays focused on avenging the potential murderer. But when the budding romance is alluded to, I found it really fun to read: “The Pretty came back in, an envelope in hand, with Beau behind her. He stopped cold in the doorway, eyes on the gap of thigh between where Anouk’s skirt ended and the socks began. His mouth opened, but whatever he was going to say never came out. Anouk slid the silk jacket over her shoulders.” The ability to develop this kind of relationship is one of the reasons Anouk is enthusiastic to become a true human being. Another factor in this yearning is having observed what human beings are capable of owning. Early in the novel, Anouk notices what her mistress is able to own and tries to collect objects herself: “On her dresser was her collection of more found Pretty objects: a single baby shoe, a scratched-off lottery ticket, a man’s chestnut-colored toupee. Simple things that were magical in their utter lack of magic.” This also provides dreamy descriptions that tap into Anouk’s desire to be around beautiful things. Becoming human and fulfilling these desires is something she yearns for, so when she is able to be human for a few days thanks to the Haute spell, she does not want to let go of the experience. “She wanted to experience everything. See all the places she’d only read about. Sail on a boat. Fly in an airplane. And read—read everything. Fairy tales. Romance novels. Only humans could write such pain and love, could make her swoon one minute and cry the next over something that had never really happened to people who’d never really existed.” Anouk’s observations and reflections regarding her desire to stay human made her character’s perspectives enticing to read. While these were the things that I really enjoyed about Megan Shephard’s novel, at times the role of magic felt confusing. It did not help that the only real act of magic we see in action is the spell to make Anouk human; after that event it felt like the story relied too much on summary to explain the world she was in and not enough on present action. Anouk reflects, “Magic reserved for those who were born magical, like the Royals and the Goblins, or who were made magical through unendurable pain, like the witches. She’d heard rumors of the bleak, severe academies where human girls were trained to become witches. Only a small handful survived the final test, the coal baths, where excruciating black flames tore apart and rebuilt Pretty flesh into magical flesh.” I felt that the magic in the story would have felt even more believable if I had been able to actually “witness” more action in the story where magic was used. If the quest to become human in Paris is something that entices you, I would completely recommend this book. However, if you need to know all the nuances on the way magic works in a world, it may not be the book for you. Personally, even though I craved more explanation on how magic played out in the story, my interest in Anouk’s character and the scenery of Paris made reading Grim Lovelies an enjoyable experience.